CHAMP Kong is a free Donkey Kong clone/remake that is available for the PC. CHAMP Kong is one of the best remakes of this Nintendo classic game. Guide Mario as he tries to rescue his girlfriend who has been kidnapped by Kong, the giant ape. The game features many of the same game play features found in the arcade version. This includes the fun of jumping and climbing around a construction site. Avoiding barrels thrown and rolled down the beams by Kong. Jumping over fireballs and much more. However, once players make it to the top, Kong grabs the girl and takes her to a higher level. This forces Mario to again face off against new, more challenging obstacles and enemies. CHAMP Kong features all four of the levels found in the arcade game plus, four custom/unique CHAMP levels and a bonus level bringing the total to nine different levels to play and master. The game play and graphics in CHAMP Kong are excellent giving the game a look and feel that is just like the arcade version. The game menu is simple to navigate and the controls are easy to learn – arrow keys for movement left, right, up, and down and the control key to jump. 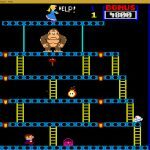 Originally developed for MS-DOS, CHAMP Kong will not run on Windows 10 PCs. However it can be played via DOSBox, simply mount the Champ Kong directory onto DOSBox, install the game and download. Be sure to read through our tutorial on how to install and play CHAMP Kong on DOSBox. CHAMP Kong is available from the CHAMP Games fan page which offers free download for a number of classic video game remakes for the PC. The CHAMP games were coded during the mid-1990s, prior to the release of Windows 98. Users may experience problems trying to play on a modern operating system. They will however run through a DOS emulator such as DOSBox. However, while the games can be downloaded from this site, doesn’t mean they are free or freeware. 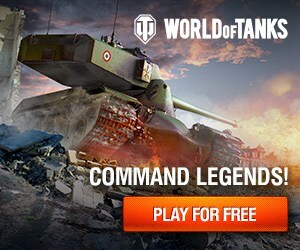 Whether the developer of these games ever received permission to use the images or likeness of the characters. CHAMP Kong and other CHAMP classic game remakes are available for download from The CHAMP Games Fan Page. How Free Is CHAMP Kong ? CHAMP Kong is free! You should not have to pay anything in order to play.